Dr. Gerrit Verschuur is the author of eight books, co-author or editor of 3 text books, has written over 80 scientific research articles, and 90 + popular astronomy articles. He lectures widely on astronomical topics, pioneered the study of the interstellar magnetic field and has been active in radio astronomical studies of interstellar matter for over 45 years. Dr. Verschuur published the first ever, full-length technical paper on the radio search for extraterrestrial intelligence in 1973. He has taught in the physics departments of six different universities world-wide, most recently at the University of Memphis. 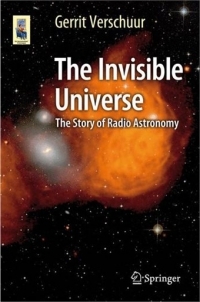 This book tells the story of radio astronomy, of how radio waves are generated by stars, supernovae, quasars, colliding galaxies and by the very beginnings of the universe itself. The author discusses what radio astronomers are doing in the New Mexico desert, in a remote valley in Puerto Rico, and in the green Pocahontas Valley in West Virginia, as well as dozens of other remote sites around the world. With each of these observatories, the scientists collect and analyze their data, "listening" to the radio signals from space in order to learn what, or perhaps who, is out there as well. 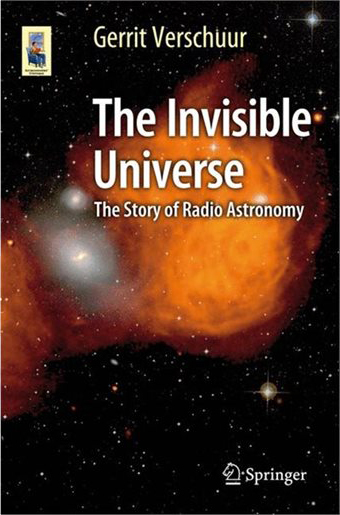 The author specifically highlights enormous changes that have occurred in the field over the past 50 years, including the political reality of radio astronomy and what that could mean for the future. The third edition includes new chapters that encompass the work already being done by ALMA and some of the new radio telescopes that have come into operation since 2007 and provides new information that concerns the political reality of what happens to “big science” when it becomes too big to be affordable. Readership: Popular science readers and lower-level undergraduates.